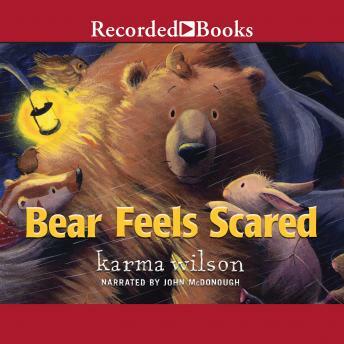 Karma Wilson's Bear books, featuring a heartwarming reading by series stalwart John McDonough, are endearing short tales cher-ished by young listeners. Here, Bear goes out for a walk only to quickly get hungry and start back to his lair for a snack. Soon he becomes lost in the dark, cold, and windy woods. Good thing he has a number of woodland friends to rescue him and get him back home safely.